Scandal-plagued bank Wells Fargo has been accused in a new lawsuit of knowing participation in a real estate investment company’s Ponzi scheme. the lawsuit arose from an investigation by the Securities and Exchange Commission into a Florida firm called EquityBuild, according to the San Jose Mercury News. EquityBuild, run by Jerome Cohen, 63, and his son Shaun Cohen, 39, raised at least $135 million from more than 900 investors, the SEC said. Investors were allegedly falsely promised that their investments would be secured by income-producing real estate, and that they would receive returns of 12%-20%. Most of the properties involved were located in underdeveloped areas of Chicago’s South Side, the Mercury News reported. The SEC claimed that the Cohens hid from investors that they “skimmed 15 percent to 30 percent off each investment by taking undisclosed fees.” They also told investors that the properties being purchased cost “substantially more” than what the Cohens actually paid for them. When the properties failed to achieve the promised returns, the Cohens began paying off earlier investors with funds from new investors. The new lawsuit, filed by EquityBuild investors, alleges that Wells Fargo aided the fraud, the Mercury News reported. 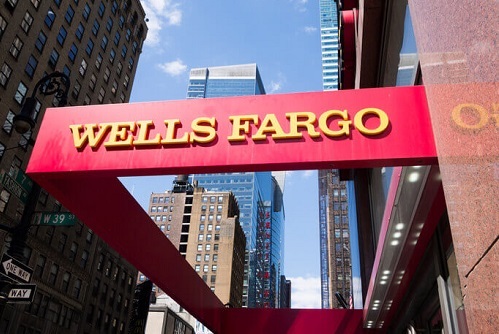 “The scheme depended on the knowing participation of Wells Fargo,” the lawsuit said. Wells Fargo has not commented on the suit, the Mercury News reported.